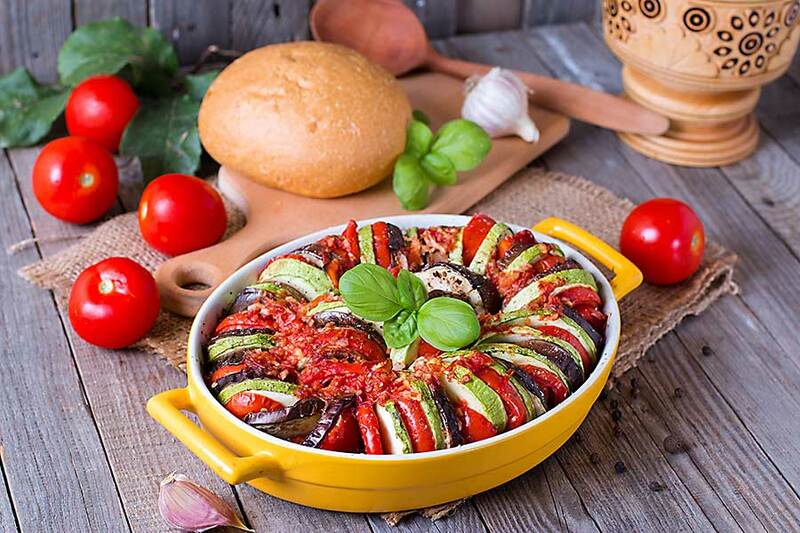 Ratatouille is a vegetable stew consisting of onions, eggplant, sweet peppers, zucchini, and tomatoes flavoured with garlic, herbs, and olive oil. 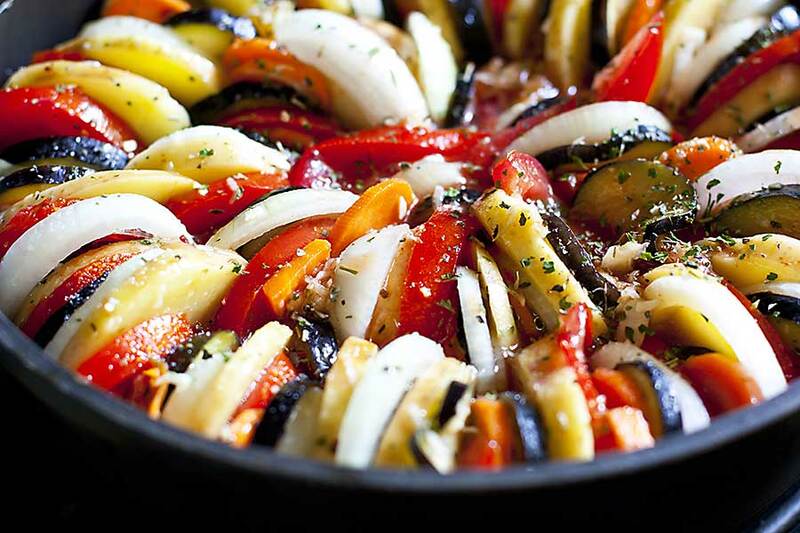 Traditionally simmered until all of the vegetables are quite soft and the flavour has blended into one, ratatouille takes on the appearance of marmalade. 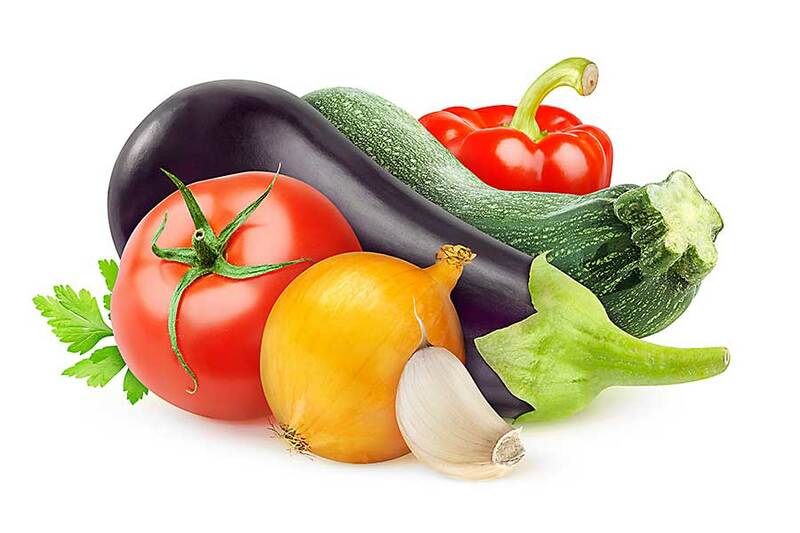 Newer versions reduce the cooking time, allowing the vegetables to retain some of their original identity.